Still trying to clear the backlog, while simultaneously helping to keep the house in "display" mode for potential buyers. 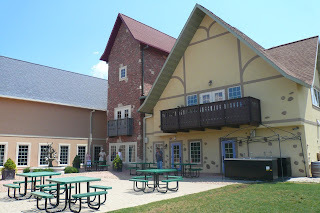 One highlight of the trip was a visit to New Glarus Brewery in, where else, New Glarus, WI. 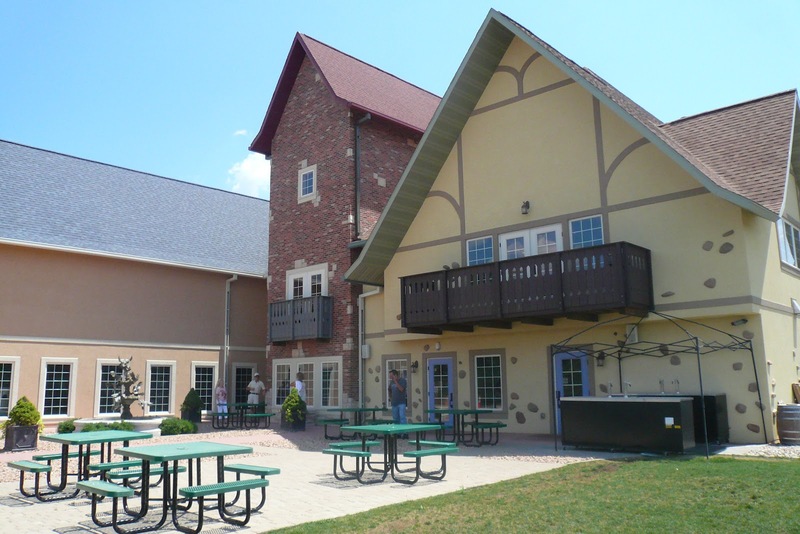 South of Madison and looking like a Swiss village the town hosts one of WI's largest craft brewers. Never having visited while the place was open, this time we made it happen. Tasting room offers three 3 oz pours for $3.50, and you get to keep the sampler glass. I tried Two Women lager, very tasty and light bodied, described by the brewery as "The collaboration of two Craft companies both led by women, New Glarus Brewing and Weyermann Malting." 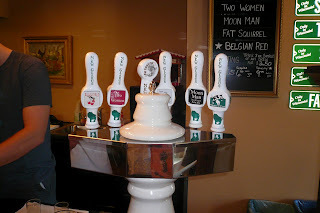 I especially enjoyed the Moon Man, a session beer with a "bright bold blend of five hops" and worth having two samples! 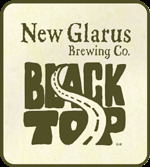 A seasonal beer not on tap but available in bottles in most stores and on tap in larger pubs is Black Top black IPA, which was a favorite of mine before visiting the brewery. Here's the brewmaster's description: " Expect this beer to pour a hop forward jet black glass brimming with aromatic bitterness. Brewmaster Dan skillfully weaves molasses and chocolate malt undertones" I couldn't agree more! Better not forget the Fat Squirrel Nut Brown! Very tasty and widely available there. 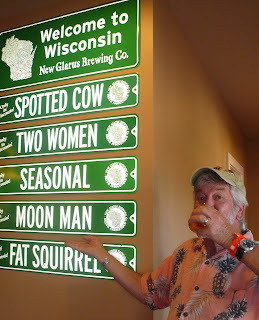 Read more about its origin at http://www.newglarusbrewing.com/index.cfm/beers/ourbeers/beer/fat-squirrel. 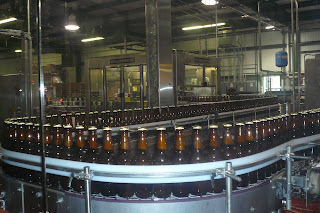 Spotted Cow bottling line. 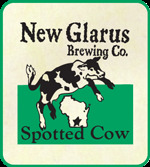 Spotted Cow is one of their top sellers. 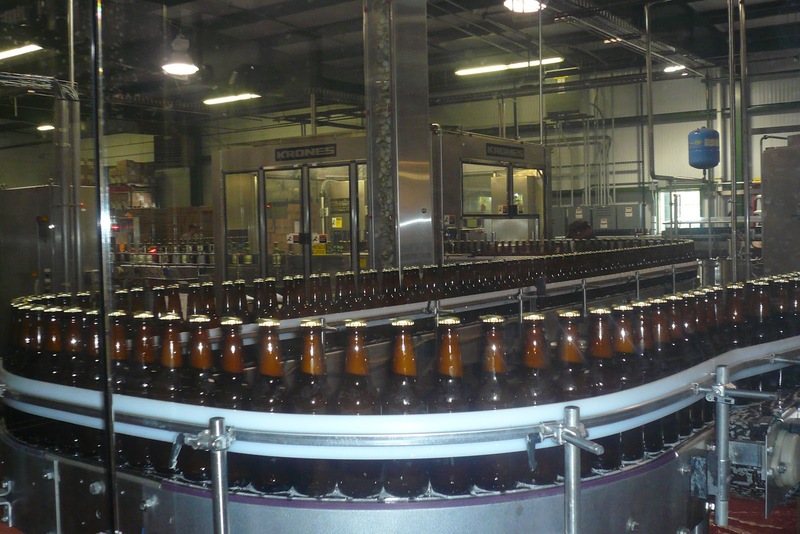 "Cask conditioned ale has been the popular choice among brews since long before prohibition. We continue this pioneer spirit with our Wisconsin farmhouse ale. 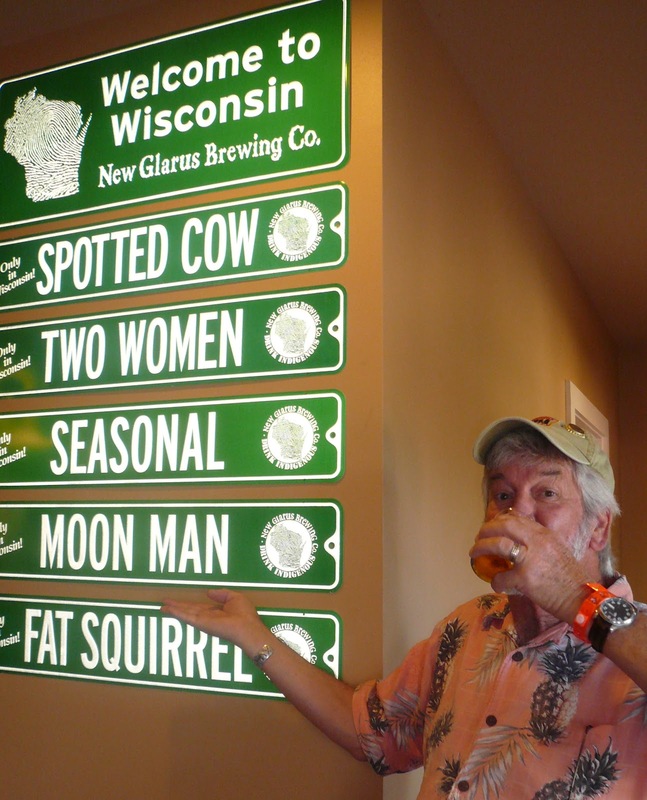 Brewed with flaked barley and the finest Wisconsin malts. We even give a nod to our farmers with a little hint of corn"
Whew! I'm worn out... writing can be hard work. Time for a break and a Black Top which I brought back with me in the checked luggage!! it looks like you seen ( and tasted ) some good brews !